I first met Kathia Duran at the USFWC "work week" at the 2008 conference in New Orleans. 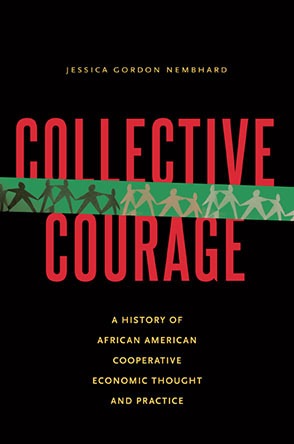 (US Federation of Worker Cooperatives; see my article in GEO for the story behind the work week. The article includes a description of the process and some analysis) Kathia is the executive director of The Latino Farmer's Cooperative of Louisiana. Their mission statement describes their work best. "The Latino Farmers Cooperative of Louisiana, Inc. (LFCL) is a demand-driven, grassroots nonprofit organization planned and incorporated under the Louisiana Agriculture Cooperative Law. LFCL serves emerging farmers, enthusiastic gardeners and conscientious consumers by working together to provide access to farmland, resources, education and training so members can grow healthy food in urban sustainable farms, foster entrepreneurship and address the socioeconomic issues of the Latino community. "The Latino Farmers Cooperative of Louisiana is committed to bringing farming skills, healthy food and a sense of connection to the city for both adults and urban youth. By turning vacant lots into urban farms we beautify the landscape while creating a new space for people to learn about sustainable agriculture and create their own agro-enterprise." The Farmer Incubator Project provides members with huertas or parcelas (micro sustainable urban farms) which help to create extra income and a spirit of entrepreneurship among Latinos. Meanwhile local residents benefit from the availability of fresh, locally produced fruits and vegetables at reasonable prices. The Hispanic Resource Center provides emergency and ongoing services to Latinos facing hunger and extreme poverty. The Center provides both the resources and the space necessary to help members get back on their feet and start their own micro farming enterprises. As an economic development engine, the LFCL's programs focus on sustainable ways to produce food and sustainable ways to provide economic opportunities and social justice for Louisiana's growing Latino population. The Farmers Incubator Project is a model for sustainable economic development and social justice. Consisting of a demand driven series of programs providing farmland, resources, education, training and assistance in Spanish, this program address the specific needs of emerging Latino farmers in urban settings. The goal of the Project is to build capacity so that members can run their own sustainable urban agriculture micro enterprises. The Project targets low-income families with previous experience in agriculture. The Cooperative provides the necessary tools and technical assistance to grow nutritious and affordable food for consumption or sale via farmers markets, mobile units, and retail outlets. The Farmers Incubator Project teaches environmentally sustainable ways to produce food and provides economic opportunities for Louisiana's growing Latino population. This is real grassroots stuff and Kathia has developed the program with incredible skill and dedication. I would personally love to share a cow with these amazing farmers. Oh wait! I can join the co-op for $25. I wonder how much cow that will get me? The LFCL now farms two urban plots. The first is the OC Haley site that USFWC members helped spread manure on. The second (new!) one is at the Kingsley House site. An interesting thing happened recently. The Latino Farmers Cooperative was involuntarially involved in a legal battle over their use of the OC Haley plot. They had "leased" the spot through a local urban greening non-profit. The battle still wages but justice will prevail! The cooperative has about 100 Latino members. Last year, they recruited about 600 volunteers including seven interns and about 20 service learning interns who will bring home with them the powerful message about cooperative urban farming and all of its benefits and glories. Kathia told me recently that they need a tractor, interns and money. Just the usual things that new co-ops need! Sally Stevens is a founding member of Rhythm Conspiracy, a musician's cooperative in New Orleans. The USFWC post-conference "work week" volunteers helped Sally learn a bit more about cooperatives and their potential for cultural economic empowerment. Sally's work with New Orleans Culture PAC certainly deserves a look. Sally's cooperative, Rhythm Conspiracy is, of course, an amazing New Orleans musical/cultural group (members put on the show at the USFWC conference in the NOLA 9th Ward parking lot). The cooperative is involved in a ground-breaking project -- Dancing for Democracy: The Coopalooza National Second Line. Rhythm Conspiracy members will travel up the Mississippi River stopping at several cities on their way to the US Social Forum in Detroit, June 2010. The musicians' cooperative will start their journey in New Orleans and stop in Baton Rouge, Jackson, Memphis, St. Louis. Chicago and Detroit. At each stop, musicians and cooperative developers will work with local grassroots economic and social development groups to bring the message of cultural cooperativism to citizens. Each stop will include a traditional New Orleans Second Line (a type celebratory parade with a long, rich, original and fun history), a concert and a workshop on cooperatives. The estimated "audience" is between 50,000 and 100,000 people. Potential sponsors include media outlets that could provide an audience of millions. The Cooplaooza National Second Line has received preliminary support from coop friends GEO, NASCO, NCBA, USFWC, Baton Rouge Community College and New Orleans community radio. Of course the committee needs a few things from you: righteous cooperative, arts or business contacts in all of the participating cities and Facebook friends (search for "Dancing for Democracy" on Facebook). You will honestly not want to miss the opportunity to join the fun. Next time in Notes from the New Cooperative South: two more Southern cooperatives spreading their wings. Erin's thoughts on some stuff. Tune in! Garden photos courtesy of Kathia Duran. Madri Gras photo courtesy of Sally Stevens.